All STAR waxing irons are developed, assembled and tested in our laboratory in Asiago – Italy. These irons are appreciated for their reliability and indisputable quality. To apply correctly ski waxes, it is fundamental to use a quality iron with a precise temperature control. Do not run the risk of damaging your skis, or to make a bad wax application and choose a STAR waxing iron. 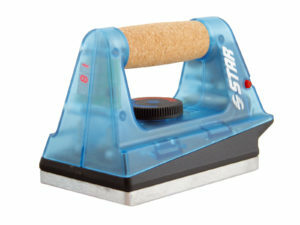 The best ever of the STAR waxing irons for professional use. This appliance with a full 25 mm die cast aluminum plate and 850 watt power is managed with the fastest electronic processor and is ideal on any type of skis and for all ski waxes. 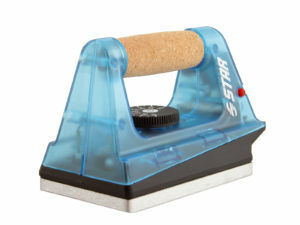 This iron offers the maximum that you could desire: optimized plate for applying powder fluor wax, new bigger and high brightness display,”touch” buttons to easily set temperature, absolute thermal control, and perfect ergonomic balance. 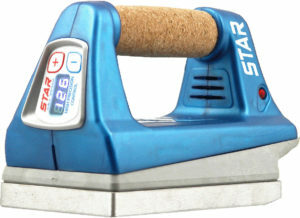 Temperature range 90 – 200 C.
New generation of waxing iron that STAR has developed with the collaboration of professional ski men worldwide. The new 15 mm aluminim plate assures excellent thermal stability, and the new shape is perfect for applying fluor powders. The electronic control with “touch” buttons make it fast and easy to change quickly the temperature selection with one hand. The digital display indication permits an accurate temperature selection which is absolutely necessary for professional use: the 15 mm die cast aluminum plate guarantees good stability and makes this iron light weight and manageable which is especially appreciated in laboartories and ski rooms where waxing lasts hours dailey. Temperature range 90° – 180°. The microprocessor control on this iron guarantees excellent temperature control. It heats quickly and is easy to use. The temperature range from 90° – 160° makes waxing safe for skis, even if you are not a prefessional skiman. 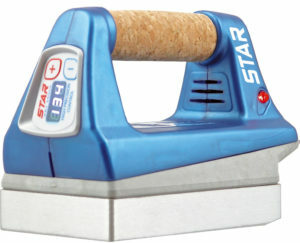 Although this iron has a very interesting price range, it is entirely produced and tested in the STAR laboratory in Italy with the same technology and care that is applied for the top of the range.